Mosquito control is a necessity in the Austin, TX area. Ridding your yard of mosquitoes is difficult, usually requires both DIY and professional mosquito control measures, and treatments are rarely environmentally friendly. YardDoc is here to help you enjoy the outdoors while preserving the earth's eco-system. Your mosquito management service begins with a thorough inspection of your landscape. Our pest expert identifies potential breeding grounds and harborages (places mosquitoes like to rest). Those areas become the target of minimization and control. Next, we suggest the best solution for your home and individual circumstance. During mosquito season, ongoing treatment is critical. Whichever services we suggest, they are all compatible with our holistic pest control program. YardDoc offers different products, in a strategy tailored to your needs, to get rid of these pests. 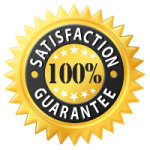 We mix a 100% natural solution, a biological solution, or a pesticide solution. Our most aggressive pesticide solution is still more than 98% natural. As we customize the right product for your situation, our goal is only to target mosquitoes. Our first commitment is always to your health and the environment. No matter what anybody tells you, it takes some time. 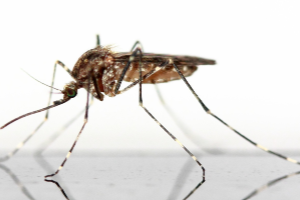 Our methods clear your mosquito infestation in ten days or less. If your problem is extreme, or your needs are immediate, we start with mosquito fogging using one of our custom solutions. 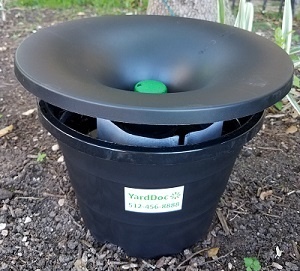 YardDoc offers a premium service that includes insect growth regulator (a product that disrupts the mosquito breeding cycles). On an ideal schedule, we return every three weeks to reapply product that breaks down with time, sunlight, and weather. Fogging is the fastest way to eliminate mosquito infestations. It is not a permanent fix and the downside is that it affects all insects, even beneficial ones, that come into contact with it. We are careful to avoid blooms and buds and to protect pollinators. But no fogging is 100% safe for beneficial insects. Mosquito baiting is the most effective and environmentally friendly way to keep your property as mosquito-free as possible. We place mosquito bait stations around the yard. These stations attract the mosquitoes, who once inside, ingest a mix of a specialized fungus as well as a growth regulator. The fungus reduces your mosquito population within ten days, while the regulator ensures eggs do not reach adulthood. Optimally, we refill the stations every three weeks during mosquito season. For a faster solution to mosquito control, we combine a one-time fogging with the initial bait station deployment. As fogging and baiting are more effective, ethical, and eco-friendly solutions, misting is best employed if you are traveling throughout mosquito season. If you request this service, we will install a mosquito misting system. Automated misting employs large amounts of product in an untargeted manner. This is hazardous to beneficial insects and can saturate your yard and garden, which can be hazardous to humans and pets. This form of misting can also miss mosquitoes when they migrate breeding grounds and harborages. However, there are situations when this is the right mosquito control treatment. For your part, learn what attracts mosquitoes so you can minimize their activity. YardDoc lawn, pool, and handyman services are in place to help you eliminate the mosquito attractants on your property, while holistic pest elimination methods take mosquito control to a professional level. Contact us for a no-cost pest inspection.